Commercial Driving Jobs & Class A Drivers Dallas | Platinum Drivers Inc. 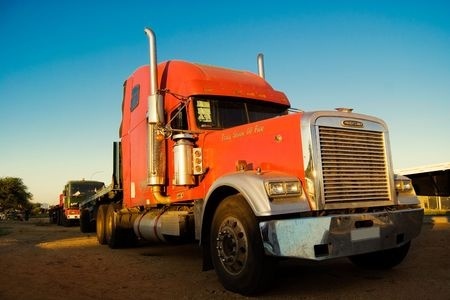 Platinum Drivers Inc. connects a wide array of truck drivers with commercial driving positions, including class A drivers, class B drivers, delivery drivers, OTR truck drivers and much more. Platinum Drivers provides staffing and placement services in Dallas, giving shipping and delivery companies access to certified commercial truck drivers for jobs of all types. From truck drivers, P&D drivers, yard drivers, line haul haulers and much more, Platinum Drivers works to find the ideal candidates and connect them with the ideal jobs. Platinum Drivers works for both drivers and businesses, ensuring the perfect fit for each party. With access to a wide array of local CDL jobs and regional truck driving jobs, flatbed hauls, dry van jobs and more, qualified and experienced truck drivers can easily find work in their field. Companies that require fast, reliable transport across the state, region or nation can also find the truck drivers that they need to transport merchandise of all types. Finding or filling commercial driving positions can be difficult, even in large cities. Platinum Drivers works exclusively with commercial truck drivers of every class and connects them with companies that need their skills. With an array of jobs available exclusively in trucking and delivery, you can easily find the job or driver that you need. Companies that want to fill sudden openings have extra merchandise to transport or have other needs for on-demand truck drivers turn to Platinum Drivers to find experienced drivers. The team at Platinum Drivers works nationwide to help truck drivers find their next short-term and long-term driving assignments. As one of the central shipping and transportation hubs in the South, shipping companies in Dallas are looking for qualified applicants regularly. Platinum Drivers places commercial drivers with shipping and transportation companies. Once the assignment is complete, Platinum Drivers locates new positions for each candidate. Platinum Drivers helps truck drivers build careers one job at a time, and assists businesses in getting all their items from point A to point B safely. Platinum Drivers deals exclusively with shipping and delivery positions for both drivers and businesses, so there is no confusion. Platinum Drivers also handles all the staffing and support services for companies and drivers, meaning that there is no need to search for or validate certifications and licenses when hiring drivers through Platinum Drivers. Candidates can expedite the hiring process by keeping their certifications on record with Platinum Drivers. Platinum Drivers works with companies across Texas and around the nation, helping each business find the reliable, experienced and licensed drivers that they need. Finding the right driver for the job can be a long and time-consuming task, further delaying your shipments. Platinum Drivers eliminates the waiting and the searching through a database of hundreds of active and licensed drivers. Whether you are looking for a class A or class B tractor trailer driver, a line haul trucker, an OTR truck hauler, or a P&D or yard driver, Platinum Drivers can help you find one. Platinum Drivers helps fill the gaps in your workforce, whether you are transporting more items during busy seasons, you are building your business faster than you can build your staff, you need drivers for new locations or you have a sudden opening that you need to be filled immediately. Platinum Drivers takes care of the work for you, filling in positions faster and giving you access to qualified drivers the moment that you need it. Depending on the items and weight being shipped, certain license endorsement may be required by your drivers to move them. Platinum Drivers finds drivers with the appropriate credentials, so you don’t have to waste time researching and background checking your drivers. Platinum Drivers keeps records of class A and class B drivers and their endorsements to help companies find exactly the drivers that they need. Searching their records of certifications and endorsements, Platinum Drivers will find the driver with the experience and knowledge necessary to move the materials you are working with. With proper licensing, drivers can haul double or triple semi-trailers, tanker trucks or trailers carrying hazardous materials. With an experienced driver behind the wheel, you can be sure that your materials will arrive safely and on-time at their destination. Learn more about Platinum Drivers and fill openings for your company. Contact Platinum Drivers today to get certified, experienced truck drivers for any position. If you are a long-distance driver in Texas seeking regular work with premier transportation and shipping companies, contact Platinum Drivers to find openings near you or fill out an online application to get started.